"My Garden Is A Mud Pit"
Yeah yeah we hear you! !This time of year is testing enough, everybody is coming down off their Christmas high, the January slump is definitely in full swing or maybe that’s just us! 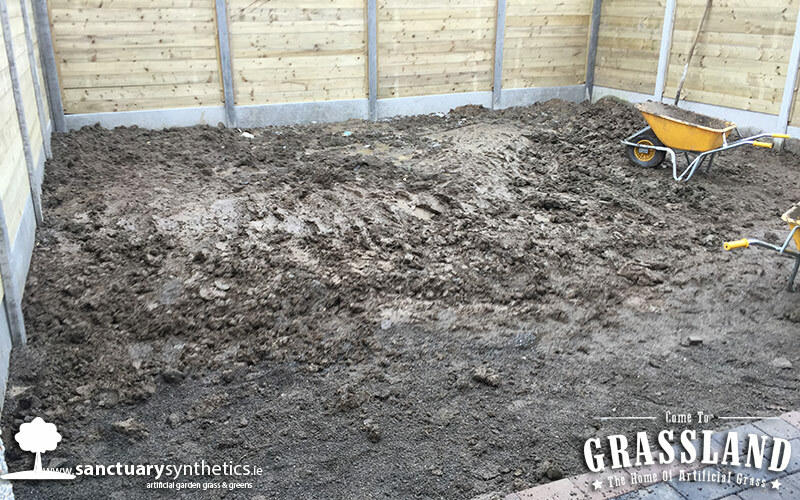 With the awful wind, rain and even snow this blustery January is bringing, now more then ever is time to start thinking about transforming that mud pit of a garden of yours in to a beautiful seamless artificial lawn. 2017 saw some horrific weather in Ireland and 2018 has also started off on the wrong foot in terms of weather. Many gardens in Ireland are in dire conditions due to our poor weather. Just look at this Dublin garden, I bet there is 1,000s of gardens resembling this one all around our gorgeous emerald isle. 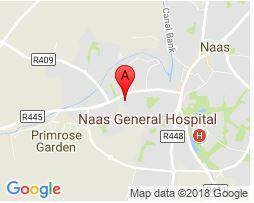 Even though Ireland is known for its lush greenery most of our gardens either A are not getting enough sun light for the lawn to grow or B we have a dog that has the garden in tatters. 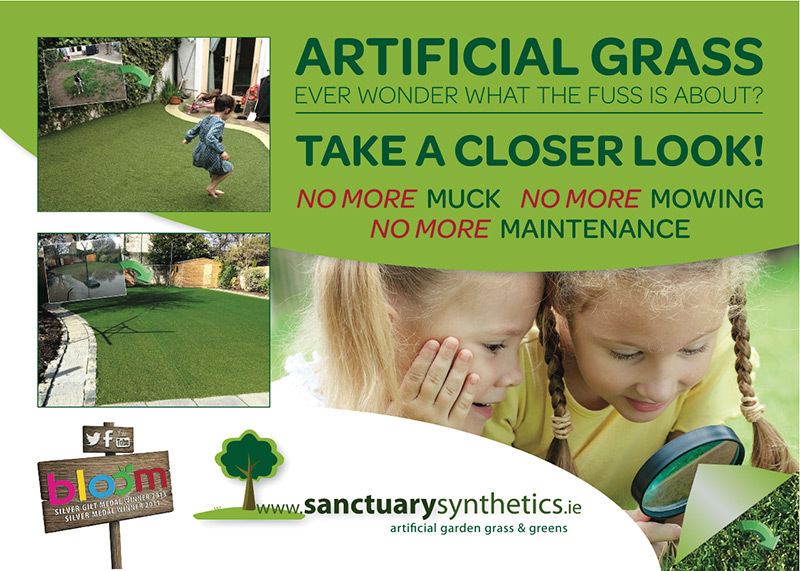 We have your solution ARTIFICIAL GRASS. When a garden looks like this there is really one thing we can say its only up from here! This is really the perfect installation for us as we’ve been around a long time and we know the results will be astonishing. The after images of this garden nearly look unrecognisable to the before images. A once mud zone is now a completely mud free zone. 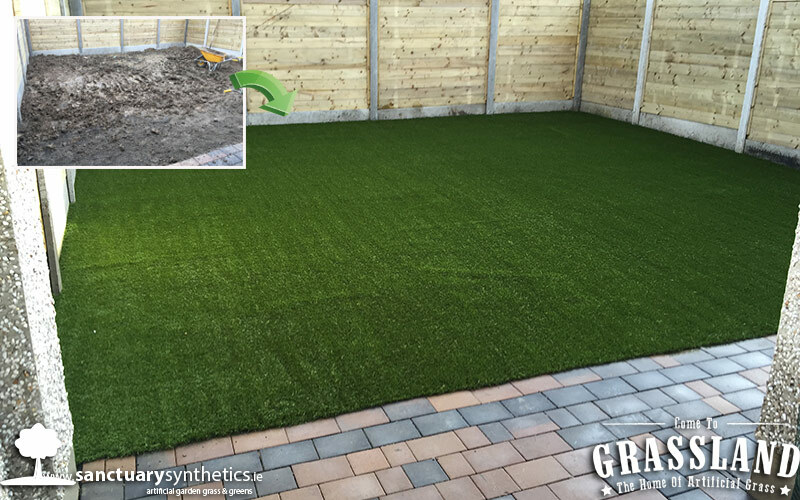 Not only does our artificial grass fix the muck issue in this garden it really transforms it in to a bright inviting space. The bright green fibres of the grass really lift the space and make the garden appear bigger then it actually is. Which is a win win in our opinion. A full installation was required to get this garden in tip top shape. Our Sanctuary Synthetics install Crew are miracle workers and they really are such hard workers and the proof is in the pudding. Just look at these after images. 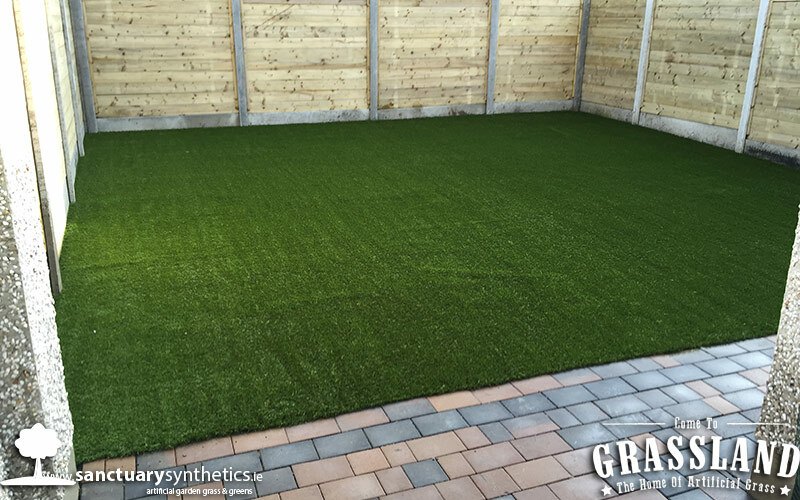 Our synthetic grass will add value to your home and provides quick drainage. It looks like grass, but it’s not mucky, doesn’t need to be mowed, doesn’t get ruined by pets, doesn’t turn into a carpet of moss and doesn’t get scorched in the sun.